Distinguished Gentleman's Ride is Sept. 28 in the U.S. and worldwide. 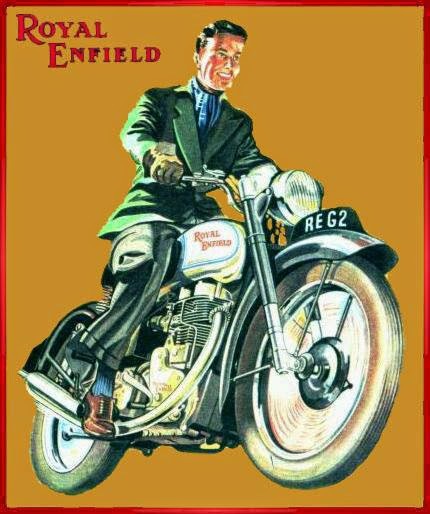 Have the footman gas up your Royal Enfield, trim your beard, button all your buttons and register for the 2014 Distinguished Gentleman's Ride Sunday, Sept. 28. This distinguished (peculiar?) ride is described as "an international event for Classics, cafe racers, bobbers, trackers, customs, modern classics, classic scooters and undefinable 2/3 wheeled machines." It raises money for global medical research to fight prostate cancer. The first Distinguished Gentleman's Ride in 2012 drew 2,500 riders. This year 20,000 are to get expected to get dressed up and ride. 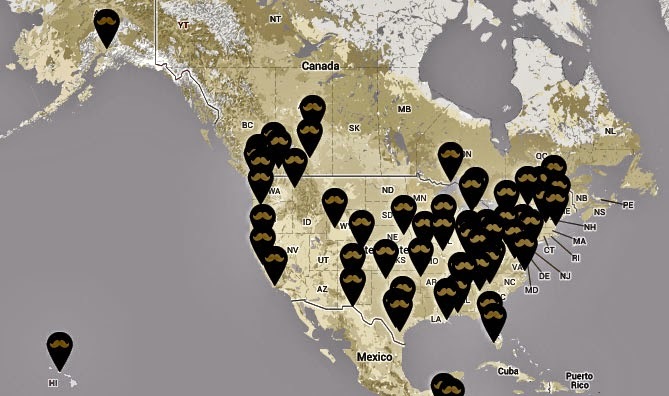 Check the website to find the ride near you. None near enough? Sponsor your own. "Blasco old chap, some of us are already distinguished gentlemen and furthermore a 'gentleman' would never ride a ghastly cafe racer — 'deed not! As riding a motorcycle is akin to riding a horse — quite so, Bunty has always deferred to traditional wisdom and insists that guests who are invited to hunt with the Blotto Hall pack of Bullet Hounds adhere to long established etiquette — don't yer know. "Suitable attire would be 'ratcatcher' (for informal occasions and summer jaunts); flat cap or other tweed cap or brown bowler. Tweed jacket and tan breeches with brown boots (highly polished) or brogues. tattersall shirt with collar and predominantly green or brown patterned tie. "A more formal occasion would necessitate the wearing of official hunt jacket (normally scarlet for foxhounds, green for harriers or just black with a suitably colored collar as an alternative), black silk hat (top hat) or a bowler, black boots (highly polished) with brown tops. White shirt with white stock (somewhat like a cravat) white breeches. Tan or white gloves. "Members of the armed forces would be allowed to wear their number two dress uniform with breeches and boots and service peaked cap, it is not customary to carry a service revolver unless anti-hunt saboteurs are expected to be present — haar haaaaaar haaaaaaaaaaaaaar!! Americans please note that automatic weapons are frowned upon as being ungentlemanly, one prefers to give the buggers 'a sporting chance' — eh what. "Inclement weather might necessitate the donning of a trench coat and waders — mmn indeed. "Dressed in this manner a gentleman would not embarrass himself or his host and friends when indulging of social or sporting occasions upon a motorcycle. "One hopes that this little message will prove of some assistance to those not blessed with an innate sense of sartorial elegance. "Maj. Bunty Golightly MBH, Defender of the Kickstart, Companion of the Royal Floatchamber."